Remove shells and devein prawns. Clean and dice. Blanch with boiling water. Drain. Peel potato. Rinse and dice. Steam potato and carrots till soft. Blanch broccoli in boiling water and drain. Glaze carrots and broccoli with butter. Chop eggs and mix with salad cream. Add potato, prawns, onion. Mix well. Add a dash of pepper if you like. Fill flower pots with potato salad. Lay with preferred vegetables like pea sprouts, broccoli and tomatoes, and top with nuts. Add carrots into flower pot mixture. Decorate with pea sprouts. 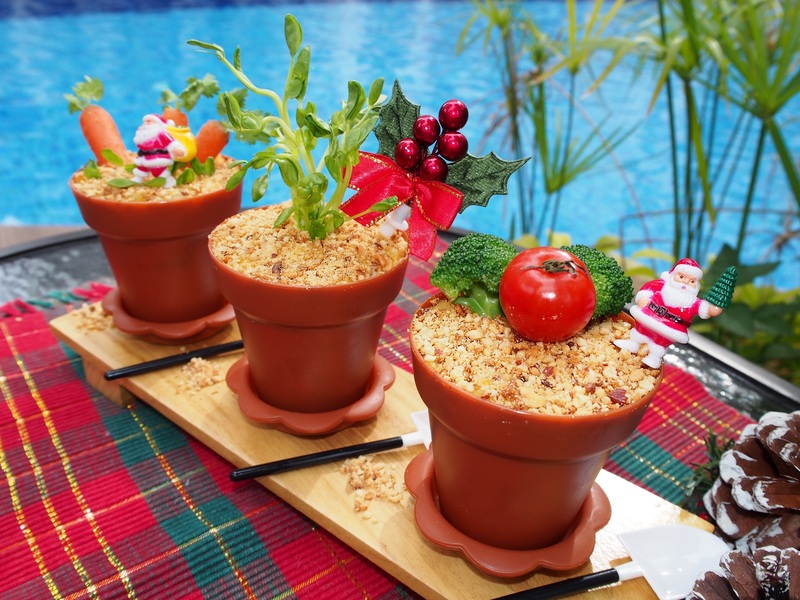 Present your lovely edible Potted Plants Potato Salad for Christmas! It's fun, it's tasty, and it's healthy! Let's celebrate the festive season with these delicious Potted Plants Potato Salad! Add a dash of contemporary flair to your plain potato salad, and make your party an unforgettable one for your guests. 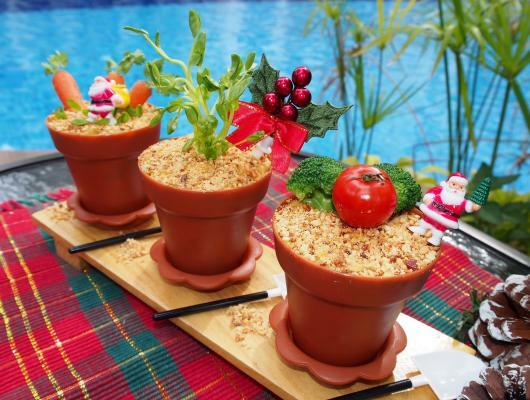 And yes, of course these are edible potted plants! Aren't they cute?